ISW Training are fully qualified and experienced for providing first aid training courses in Somerset and throughout the South West of England. We can deliver any individual or group flexible and quality training at a lower cost than larger national companies. This not only helps our customers save money on first aid training, but gives them a much more personal service by allowing them to tweak certain aspects of our first aid courses to their needs. Ensuring that we present and teach our first aid training courses in an unique and personal way is key. We recognise that people can learn and retain new information better through using fun yet informative teaching methods. 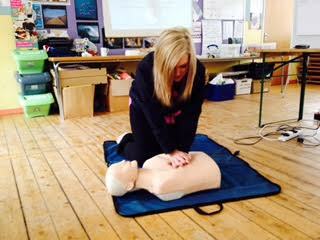 Our professional first aid trainers always use up to date equipment that is new and hygienic. The course is designed for Nannies who wish to join the voluntary part of the Ofsted Childcare Register (OCR). It is also suitable for Au Pairs, Babysitters, Parents, and anybody who cares for children and needs a basic paediatric first aid course. The course is designed for Childminders, Nursery and School staff (dealing with Early Years Foundation Stage), and anybody who interacts with children and wants an in-depth course. The course is in line with the Statutory Framework for the Early Years Foundation Stage (EYFS), Local Authority Approved and meets the requirements of Ofsted.